It’s not just a tag line, it’s a way of life around here. For more than two decades, Neal Hart and Hart Law have been hard at work helping lawyers with Workers’ Compensation questions and case referrals. From the moment you refer a work injury claim to Hart Law, you can rest assured that no stone will be left unturned in our efforts to help your clients get the benefits they deserve. As a young lawyer, Neal Hart learned the ropes of Workers’ Comp by representing insurance companies in the Workers’ Compensation claims process. This had a tremendous impact on Neal as he sat in meeting after meeting, hearing after hearing, witnessing insurance companies treat people like a number. Because of this, Neal knows the tactics of insurance companies and how they look at injury claims. Experience that he now uses to fight for the rights of injured workers to maximize their claims. 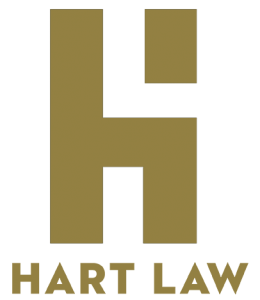 Hart Law continues to maintain close professional relationships with lawyers and firms who often require Arkansas Workers’ Compensation experience and look to us for help. If applicable, we share fees pursuant to the guidelines set forth in Arkansas Rule of Professional Conduct 1.5. We Want Your Workers’ Comp Referrals! Call us today at 1-800-520-5874 with your referral and let’s get to work!